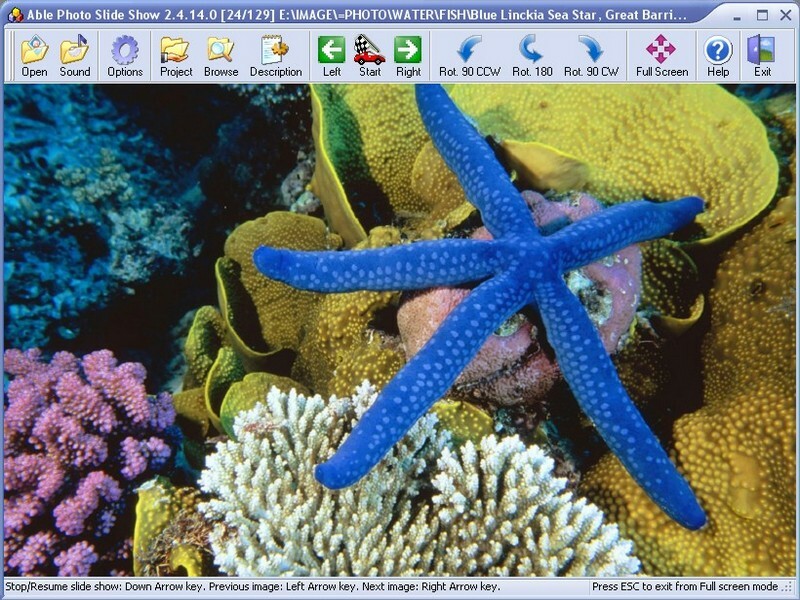 Able Photo Slide Show 1.5 is a powerful image presentation software application. In fact, it's the "finally I got a tool that will enable me to view gazillion pictures on my PC fast without hassle" type of program. While there are virtually several dozens slide show programs, all of them ignore the real needs of program users. 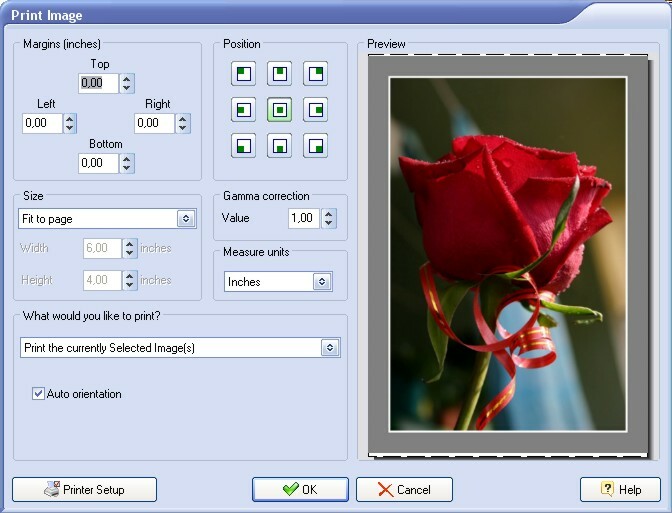 Able Photo Slide Show 1.5 is specially built to help create a slide show or picture a person needs. For example, the program can create absolutely beautiful slide shows with stunning transition effects. But what if a person simply wants to look through 200 digital pictures of a wedding taken yesterday without having to click 200 times? Able Photo Slide Show 1.5 will do just that. Need business-like product presentation, highly professional and without any fancy transition effects? Few clicks and it's done. 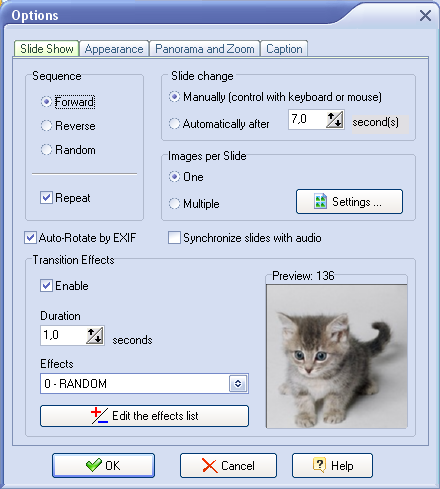 Able Photo Slide Show 1.5 comes with functionality that goes far beyond slide show building. 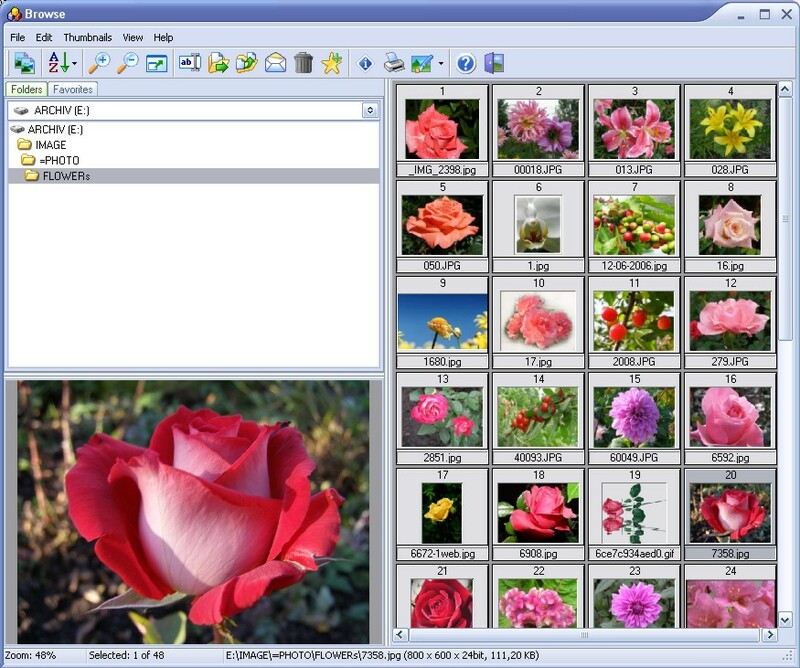 For instance, the program has an image browser that is capable of renaming, moving, copying, deleting, printing, editing or sorting images. Furthermore, it can be used to add comments to images, create 'Favorites' lists, print all pictures in a slide show project or send them over e-mail with one mouse click, as well as to preview all images in thumbnail mode. Needless to say, Able Photo Slide Show 1.5 is extremely simple - image orientation, centering and size adjustment is all done automatically. Naturally, the program supports all common image formats. JPEG, GIF, animated GIF, Bitmaps (BMP, RLE and DIB), TIFF, Metafiles (WMF and EMF), Icons (ICO), PNG, PCX, TGA, PBM, PGM and PPM. Command line parameters options are available. Able Photo Slide Show 1.5 is available at www.graphicregion.com for free evaluation. The price of registering the program is 19.95 US Dollars for a Personal License and 29.95 US Dollars for a Business License.